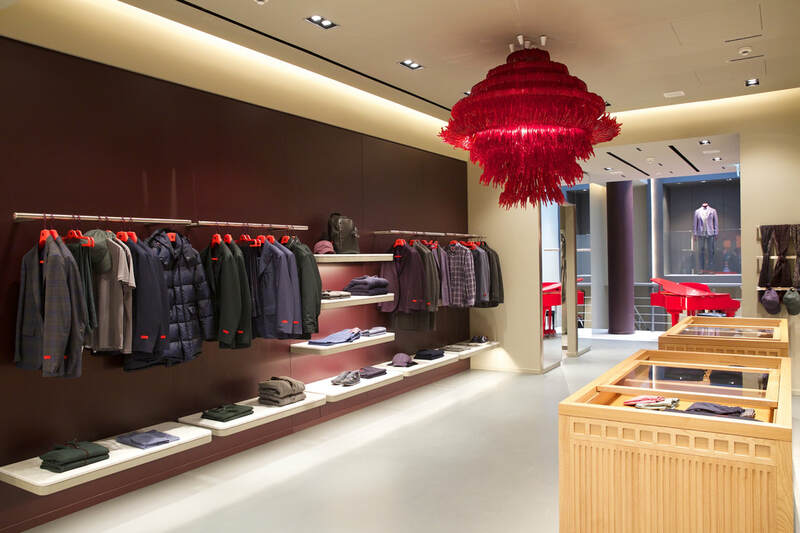 (Napoli, November 4th, 2018) – ISAIA announces the opening of its first store in London, United Kingdom. Located at 45 Conduit Street, the London boutique will mark the brand's first store in the UK, following the success of global locations including Europe, Asia, and US. Located in the heart of West End, the store will bring a taste of Napoli to London. 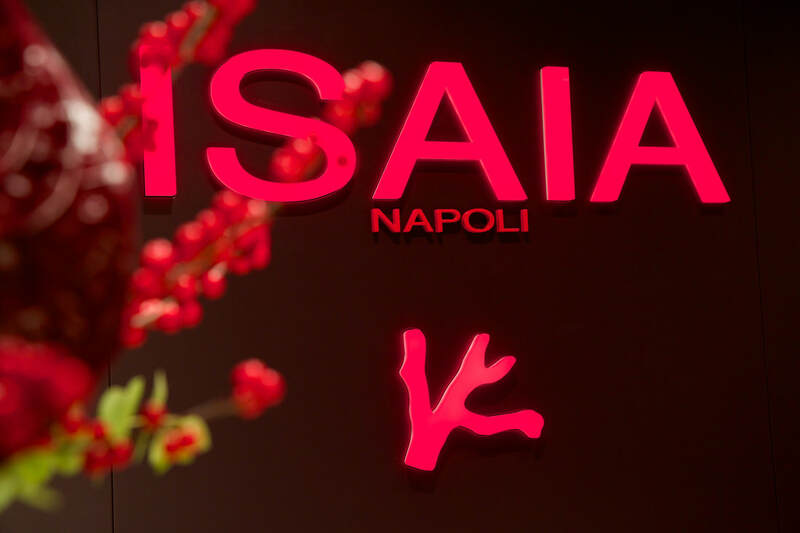 Keeping with the brand’s promise to amplify the heritage and culture of Napoli to the rest of the world, ISAIA’s London boutique will be no exception. 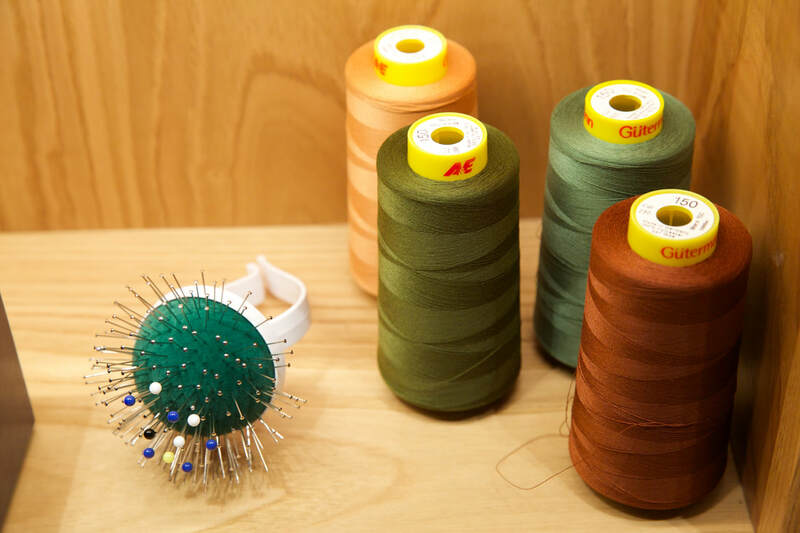 Gianluca Isaia, third generation CEO, asserted, "I visited London for the first time in 1976, when I was 13 years old and have loved it ever since. It was the hottest summer London had seen in years - and I like to think it was because I brought the sun with me from Napoli. London is truly one of the greatest cities in the world. 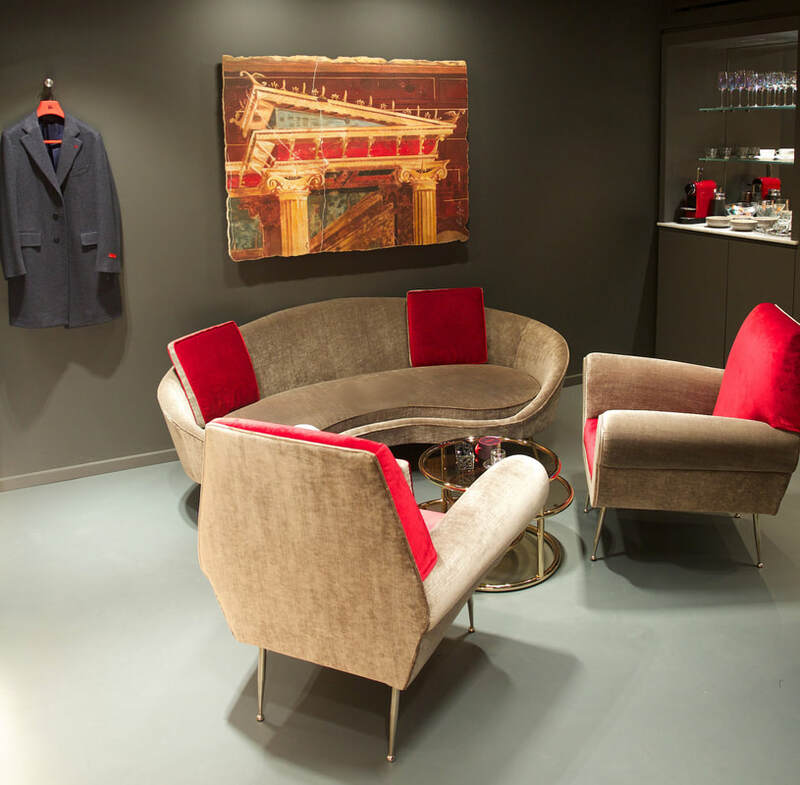 The history, sophistication, and of course, the love of tailoring, makes it the perfect place for ISAIA to have a home, we are honored to bring the art of Neapolitan tailoring to one of my favorite cities in the world." 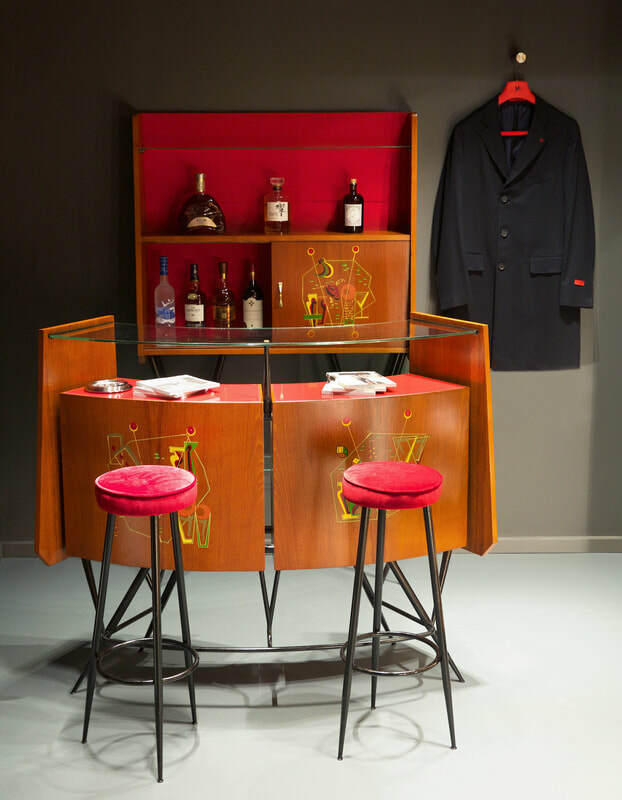 Designed by Ferrari Architetti and decorated with art and artifacts sourced by interior designer, Alberta Saladino, the store’s design and architecture is consistent with the rest of its global locations. 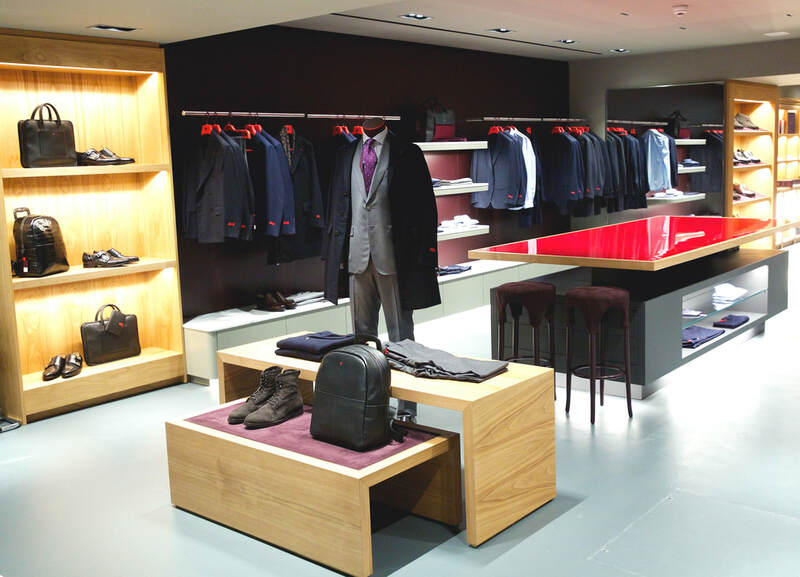 Totaling 200 sqm of space, the store features unique furniture and design elements from the Bay of Naples. 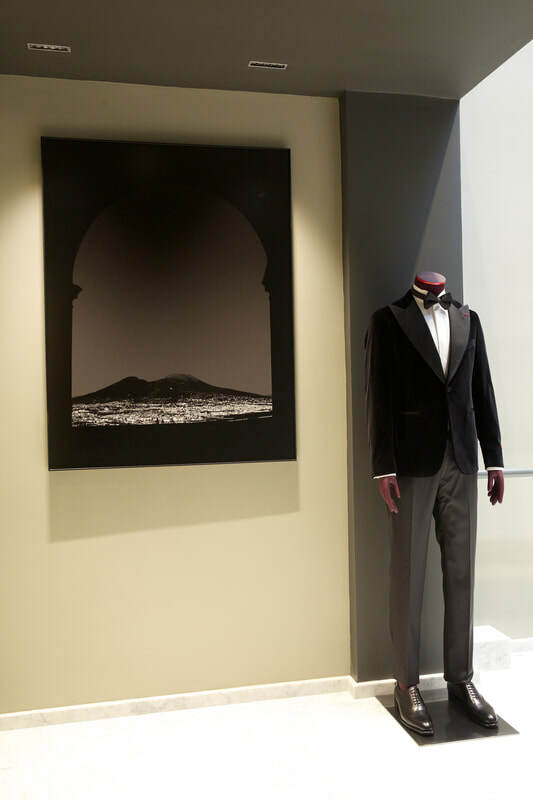 The layout of the store is divided into two main areas highlighting the brand’s full luxury lifestyle offerings, including; sportswear, tailored clothing, a Made to Measure room, an open tailor shop, and the iconic “Vesuvio” VIP room. 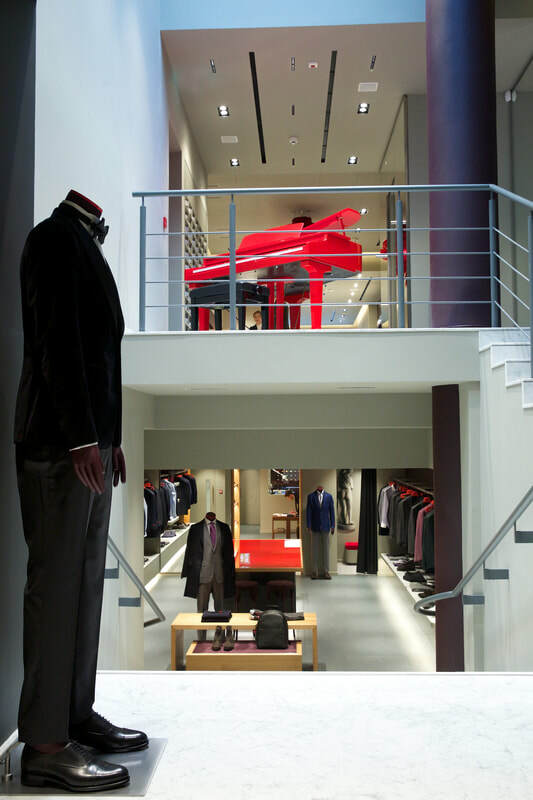 Adding to the playful, eccentric nature of the brand is a red lacquered piano, which has been a customer favorite in ISAIA stores globally. 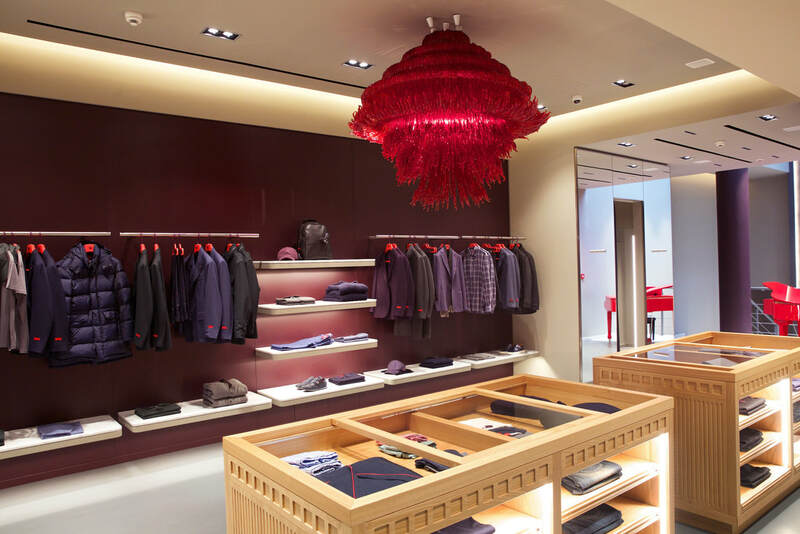 In 2008 the late British designer james Irvine was commissioned to design ISAIA's first flagship store in Milan. 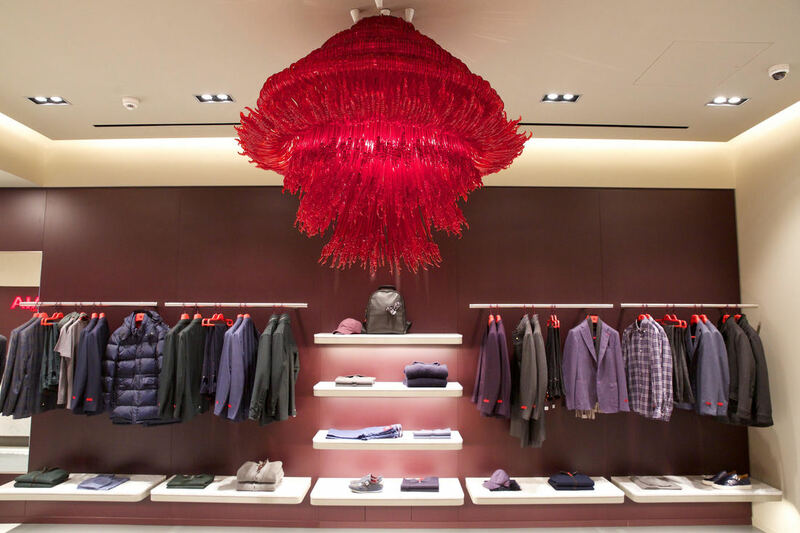 His design treatment would become what is now the signature ISAIA store concept for all stores globally. 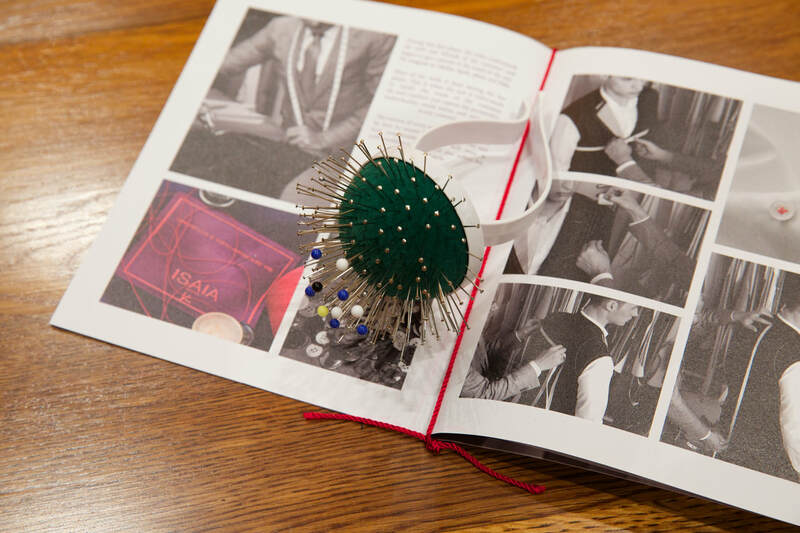 It is a design vernacular that reflects the unique ISAIA style; tradition mixed with cutting-edge design. 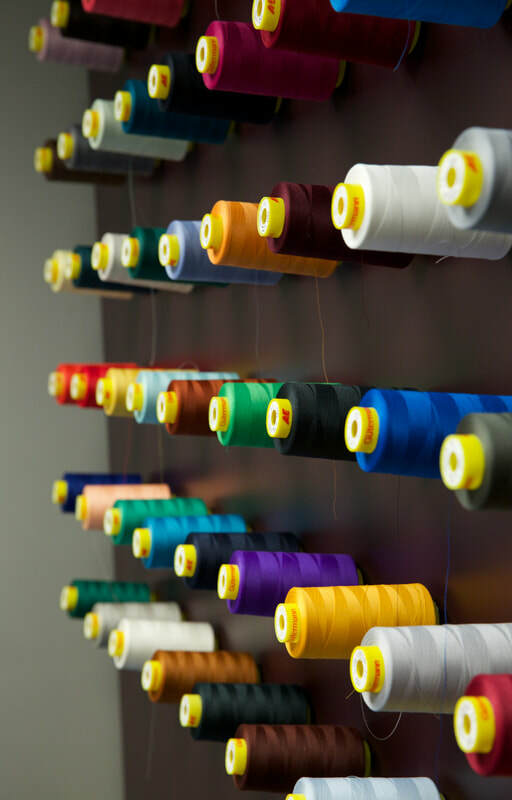 On November 15th, ISAIA welcomed their new London store with a colourful celebration reflecting their distinct style. Conduit Street is known to be one of the most significant streets in Mayfair and know for its English sartorial brands connecting to New Bond Street which is the top luxury shopping spot in all of Great Britain. The Famous Westbury Hotel and Polo Bar are also on Conduit Street, nestled near the ISAIA boutique between Berluti, Vivienne Westwood and Giuseppe Zanotti.